This is a Weld in Trailer Spindle that will accommodate a 3500 lb Straight Trailer axle Beam and corresponding wheel bearings. 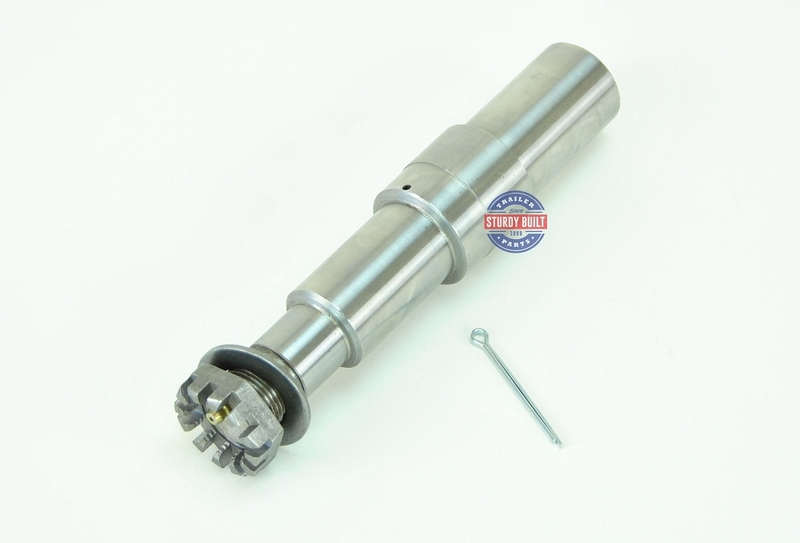 This Spindle is referred to as a #84 Spindle, using a 1 3/8" ID Inner Wheel Bearing and a 1 1/16" ID Outer Wheel Bearing. 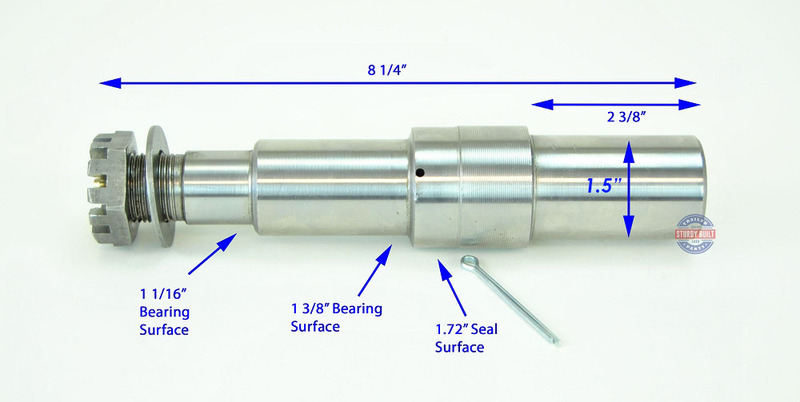 Additionally, this Spindle uses the standard 1.72" ID Seal Surface. 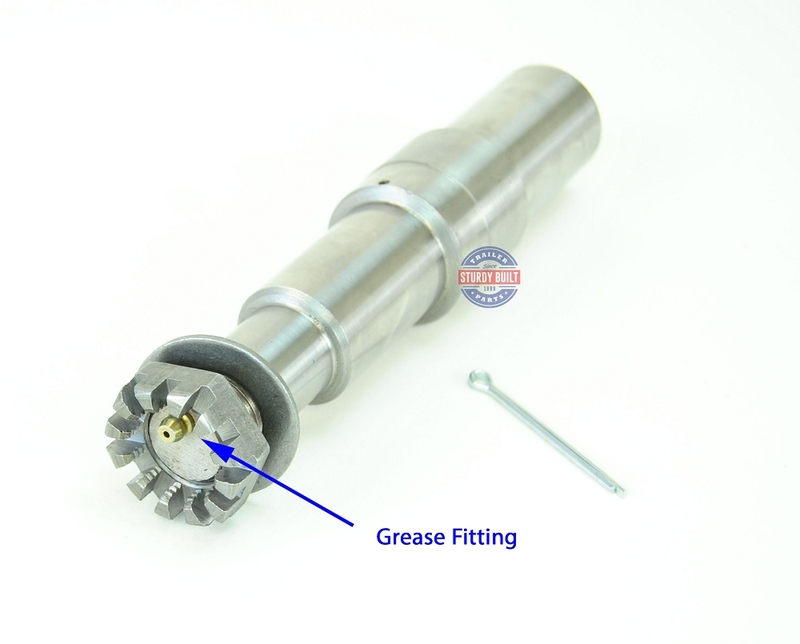 This particular Spindle has an Pre installed Grease Fitting For Grease your Wheel bearings using the Ez Lube system.